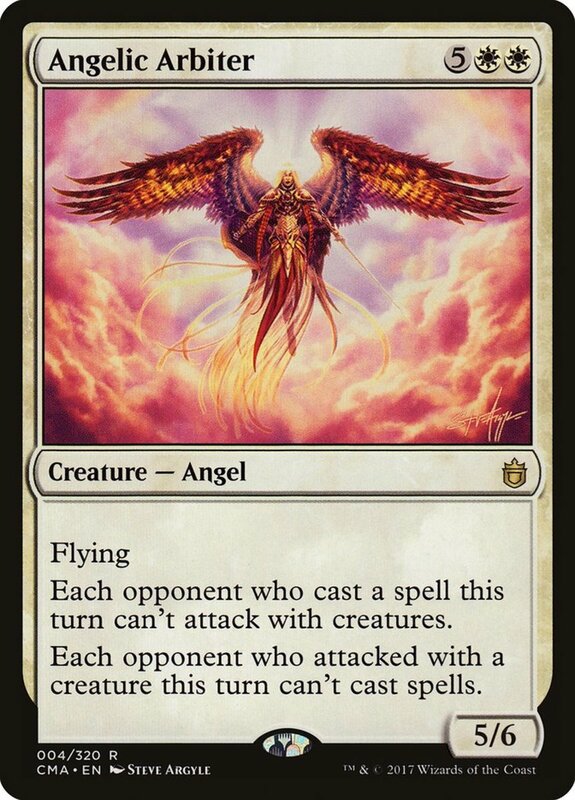 Typically the strongest (and most mana-expensive) creatures in the white camp's arsenal, angels have faithfully served their masters since Magic's debut. Usually wielding high battle stats, angels also employ flying to soar over ground-based blockers as well as a variety of potent defensive abilities. But with dozens of divine warriors to choose from, which heavenly servants reign supreme? These are the top ten angels in Magic: The Gathering! 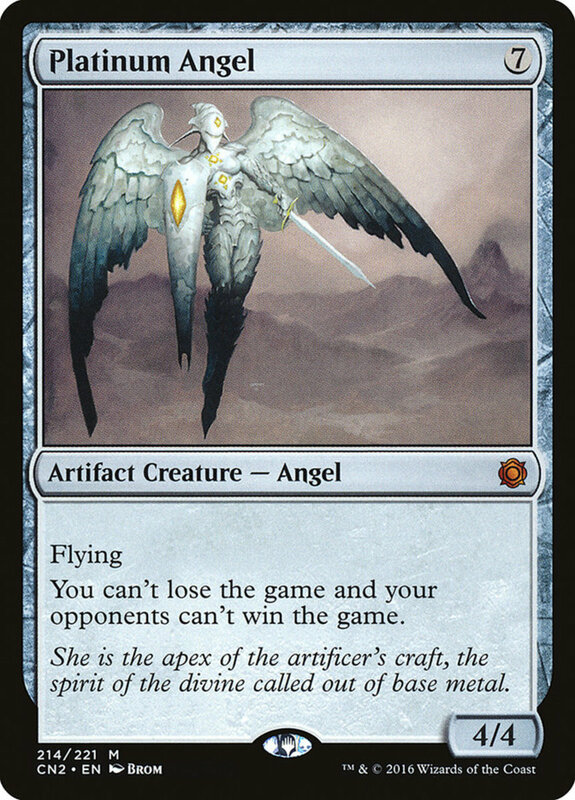 Accompanying the de facto flying trait, Angelic Arbiter wields five power, six toughness, and an impressive boost: each opponent who casts a spell during a turn can't attack with creatures, and each opponent who attacks with creatures during a turn can't cast spells. Simply put, this marvelous ability forces opponents to make tough choices each move, forfeiting either their assault or ability to play cards from their hand. Be sure to keep Arbiter alive with cards like "Mother of Runes" to ensure your adversary can't escape the heavy chains you've shackled them in. For her seven mana, Emeria Shepherd arrives with a lukewarm 4/4, but her excellent ability compensates: whenever a land enters the battlefield under your control, you can return a nonland permanent from your graveyard to your hand. Permanents include most non-instant or sorcery cards (planeswalkers, creatures, enchantments, etc. ), letting you choose from a wide variety of options. 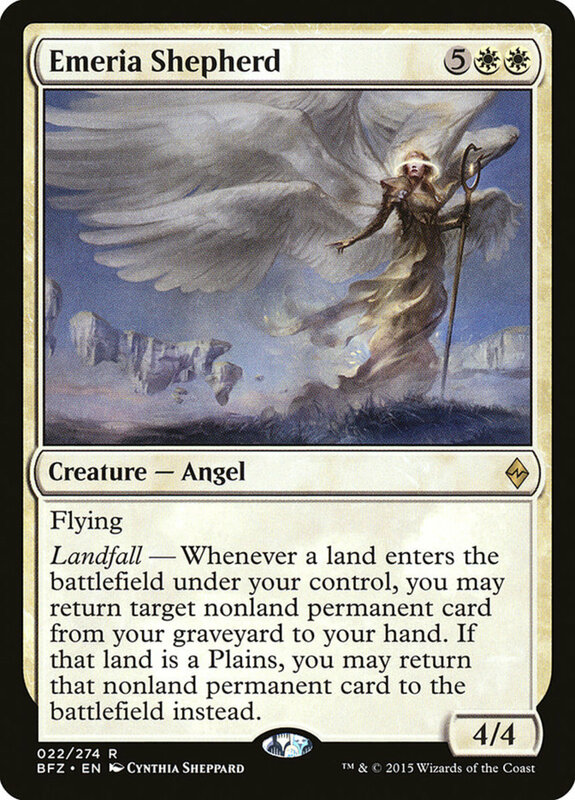 However, if the land that enters the field is a Plains, which is likely considering Emeria's white color, you're instead able to revive the card from the graveyard, essentially letting you cast it for free! This can easily recycle your strongest units, and can be activated multiple times in a row thanks to no "once per turn" or tapping limitations. Another 4/4, Skirmisher's stats may not justify her six mana price, but her ability certainly does. 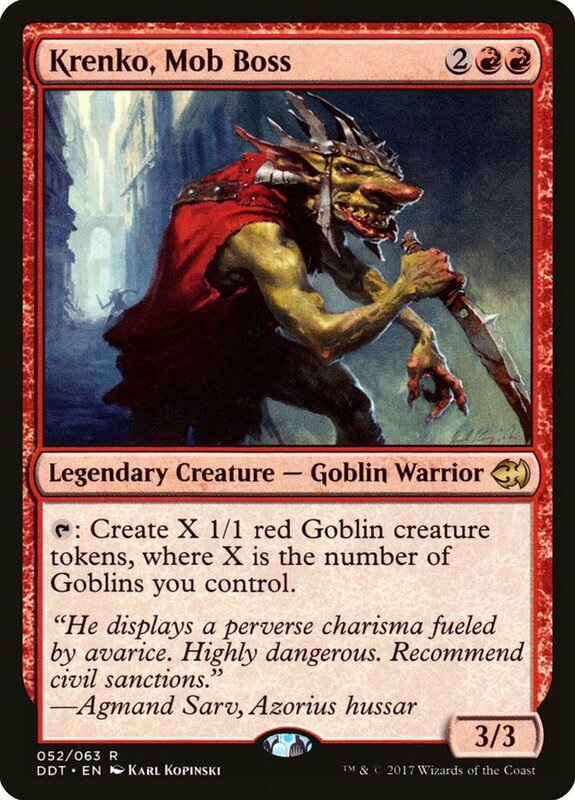 At the beginning of each combat, you choose either first strike, vigilance, or lifelink and apply that trait to all your creatures (including Skirmisher) until the end of the turn! These are all useful boons to wield; first strike lets your monsters attack opponents first and possibly avoid a counterattack, vigilance lets them attack without tapping, and lifelink recovers life corresponding to damage dealt. 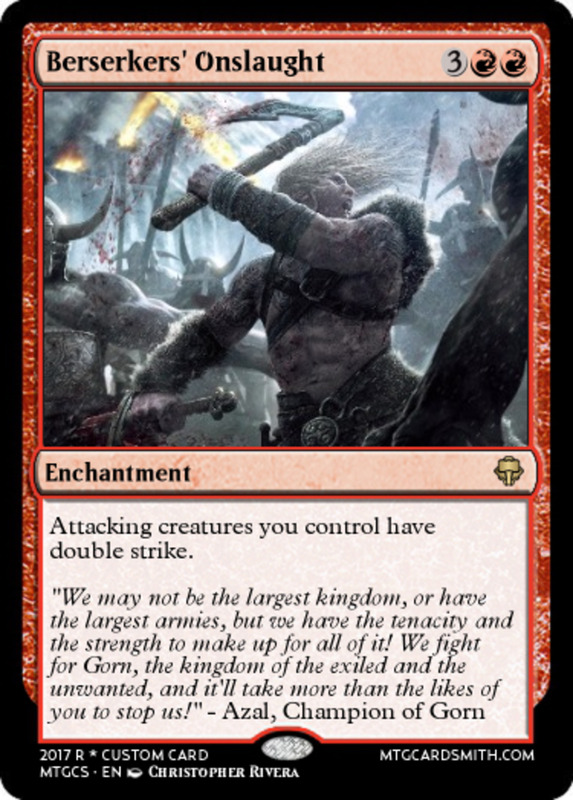 As icing on the cake, note that the wording of the text says "each combat"—this means you get to use the effect on your opponent's turns too! Although angels typically belong to the white army, colorless creature Platinum Angel allows any color to access it. For seven mana, we have yet another 4/4 with one of the best stall tactics in the game: you cannot lose and your opponents can't win. That's right, as long as Platinum Angel remains out, you'll never be defeated no matter how low your life drops. For your opponents to even stand a chance, they'll have to remove Platinum first—giving you time to prepare your counterattack. 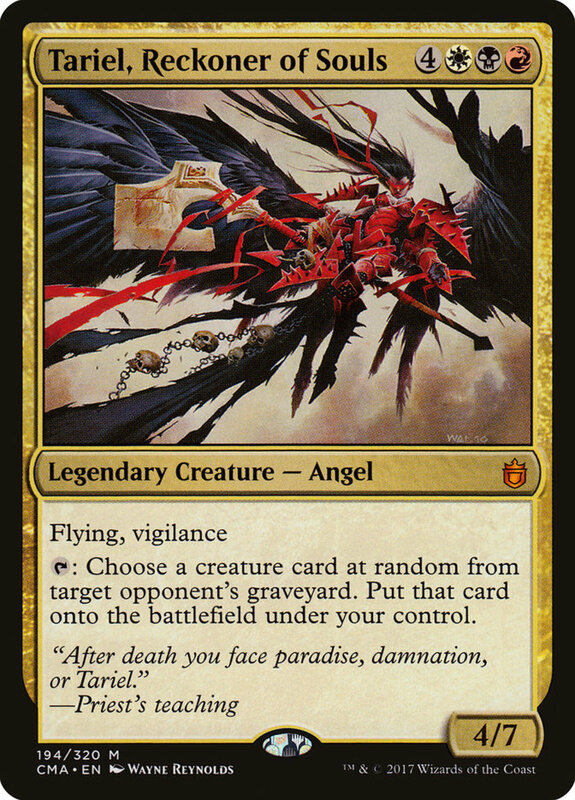 One of many potent legendary angels, Linvala costs a comparatively low four mana. In addition to the expected flying trait, she prevents opposing creatures from using their activated abilities! This means any trait that requires an activation, like paying mana or tapping, will be completely unavailable to your opponent as long as Linvala lives. 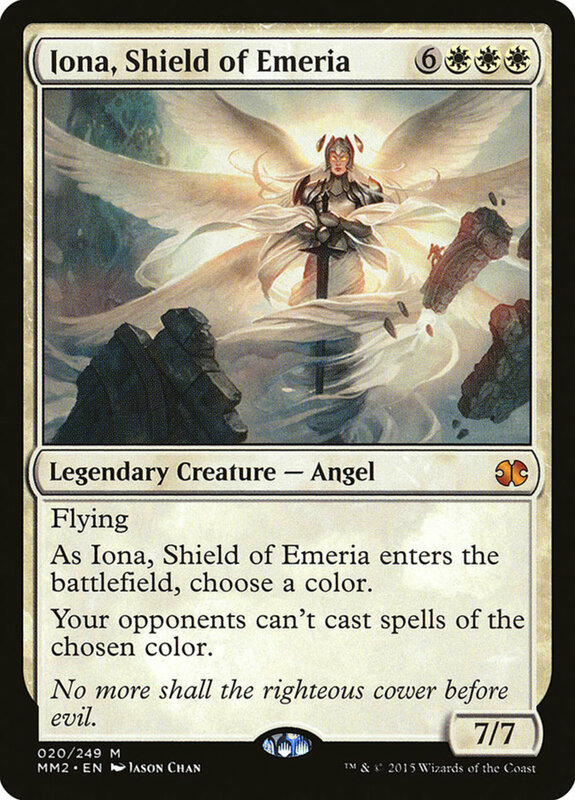 Since this comes without cost or tapping, Linvala remains free to use her decent 3/4 power and toughness in battle while keeping her barrier active, and she rivals Grand Abolisher as one of MTG's best white lockdown tactics. Just like the infamous angel-fielding Kaalia of the Vast, Tariel, Reckoner of Souls needs red, black, and white mana to use. Tariel's power may only be four, but her seven toughness helps her survive most battles, useful considering her natural vigilance trait. In addition, she can tap to choose a random creature from a target opponent's graveyard and put it onto the field under your control! 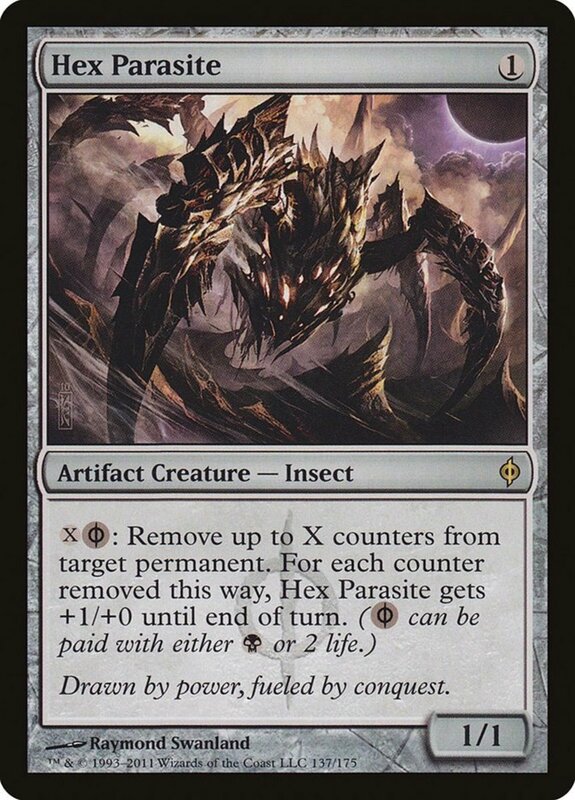 Reviving monsters from your opponent's discard pile not only adds creatures to your field, it prevents them from recycling them as you just did. 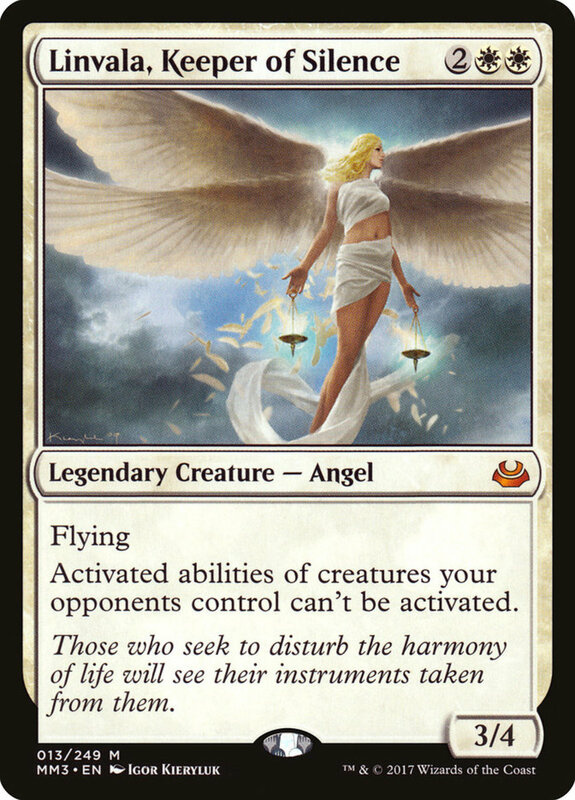 Often underestimated, the rare Archangel of Tithes employs outstanding qualities despite her cost of only four mana. 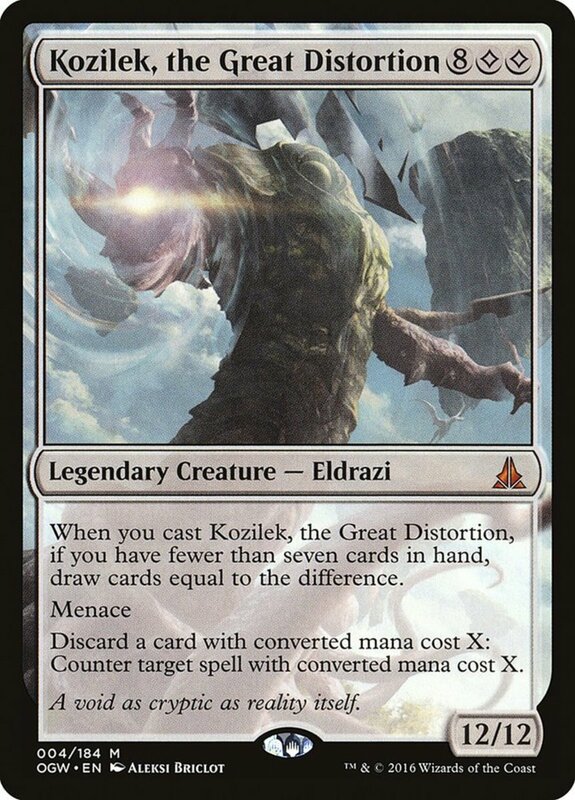 With an impressive 3/5 and flying, she makes opponents pay a mana per creature to attack you or one of your planeswalkers when she's untapped. Additionally, when attacking, your opponent can't block unless they pay one mana per blocker. 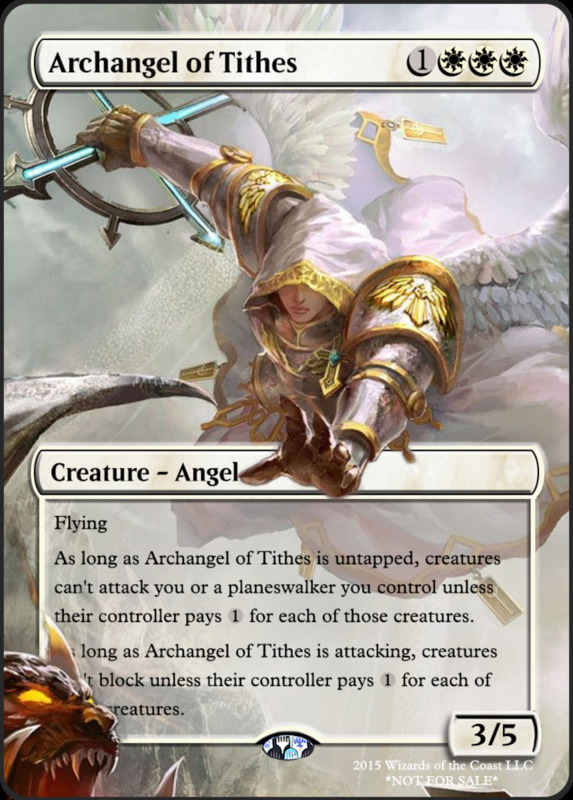 Both abilities are superb on their own, and to access both in a given round, use cards like Angelic Skirmisher to give Tithes vigilance, letting her attack without tapping and keeping both effects active at once! With the high cost of nine mana, you might want to consider gimmicking Iona, Shield of Emeria onto the field lest you be stuck with an expensive card you can't afford to cast. However, once out, she wields 7/7 and a truly devastating ability: you choose a color; opponents cannot cast spells of that color. 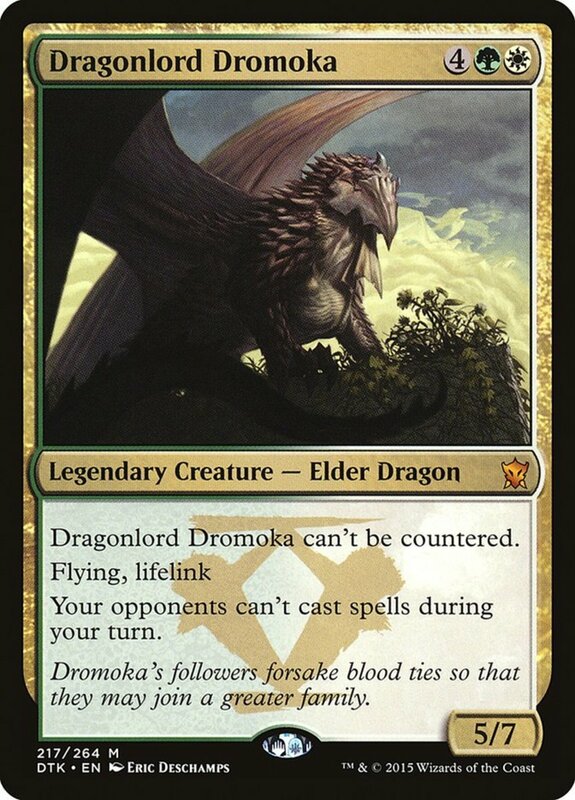 This wonderful trait often spells game over, especially for mono-color opponents. Even for multi-colored rivals, any multi-colored spell that includes the chosen color will also be ruled out, often rendering your opponents' hand completely useless. If you're playing multiplayer duels, try to pick the most common color among opponents to trap the greater number of enemies. Due to their high-cost nature, angels sometimes struggle against counter-happy blue decks ready to negate their entrances. 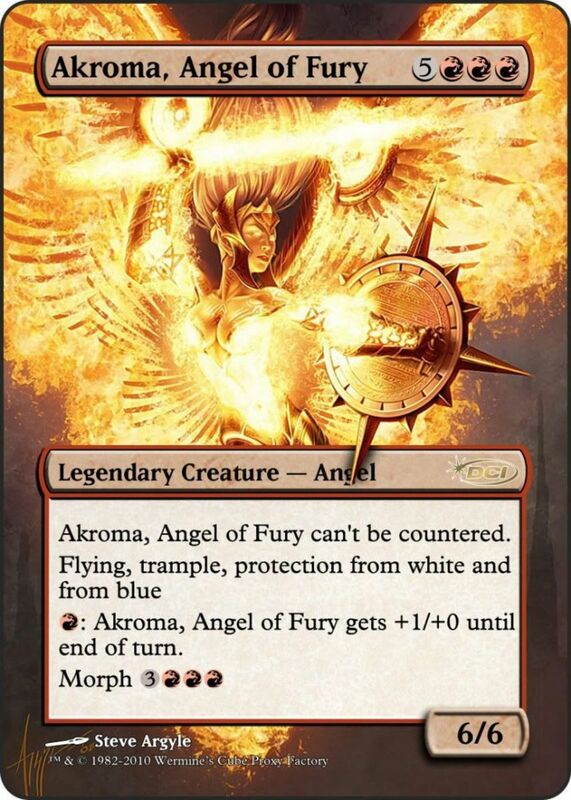 Enter Akroma, Angel of Fury, a red angel (no white here) with the perfect answer. Although she demands eight mana, Akroma cannot be countered and is completely immune to white and blue spells! Additionally, she has flying and trample, letting her deal excess damage to opponents even when blocked, and you can pay any amount of red mana on a turn to temporarily up her power by one for each. Beyond that, Akroma wields a morph ability, letting you divide her mana cost into multiple turns. If you attach one of the famous sword artifact-equipment cards onto her (I recommend Sword of Feast and Famine), you can render Akroma protected against four out of five colors in the game! The undisputed queen of the heavens, Avacyn, Angel of Hope offers several benefits. First, she's the strongest of today's angels, wielding a mighty 8/8. Next, she has both flying and vigilance, letting her attack without tapping. But most importantly, Avacyn makes all your permanents indestructible! 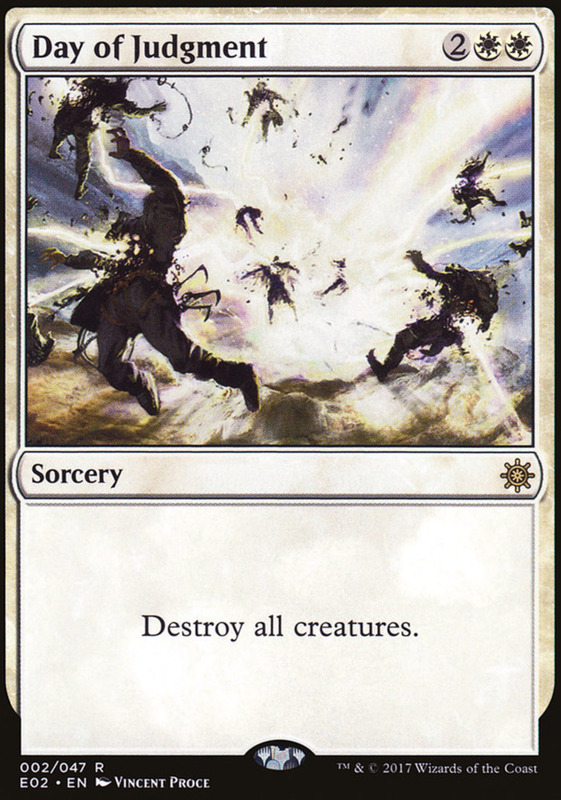 Remember, this includes lands, enchantments, creatures, and more—basically anything you have out (including Avacyn herself) becomes immune to damage. Without a hand-returning or banishing effect ready, your opponent will soon crumble against the might of an invincible army. 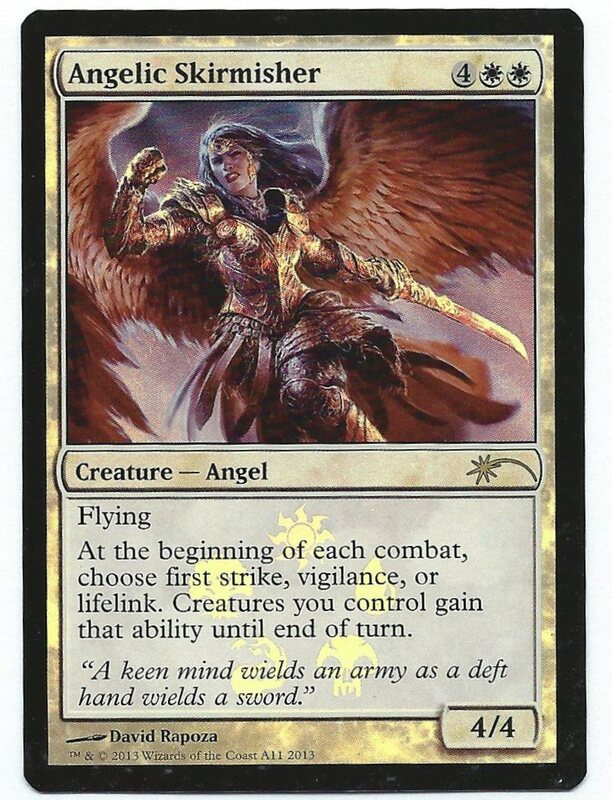 Avacyn's won me several battles of attrition thanks to her shielding abilities, and you can tell by her $20 price tag she's in high demand for competitive players. Which angel do you prefer? While Magic sets like Ixalan focused on other creature types, angels remain a prominent and viable competitive option. 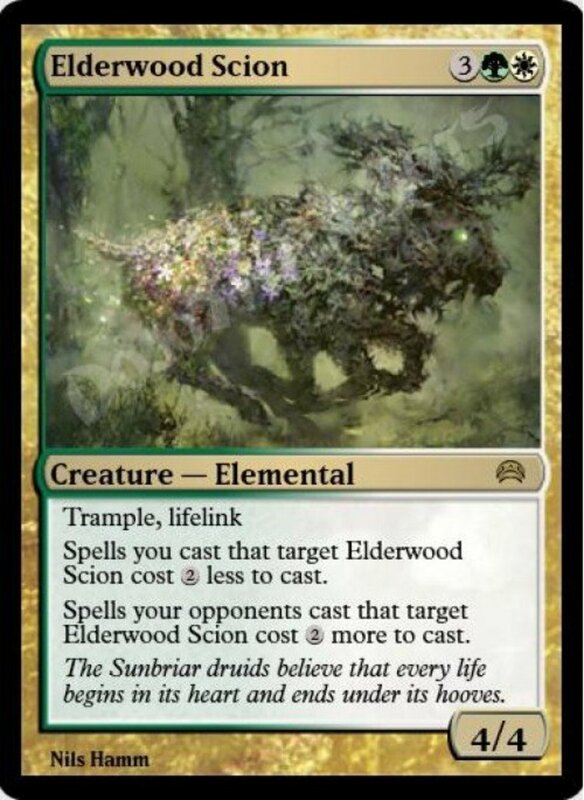 Remember, you can field them for free with cards like "Kaalia of the Vast" or "Aether Vial", and their defensive abilities can help build life for the instant win of "Felidar Sovereign". Other defensive spells like "Grand Abolisher" and "Mother of Runes" help your troops hit the field safely. But for now, as we eagerly await Wizards of the Coast's next expansion of angelic warriors, vote for your favorite card and I'll see you at our next MTG countdown! Why not Lyra Dawnbringer, Baneslayer Angel or Shalai, Voice of Plenty? When you have just ten slots, something inevitably has to get cut. If it helps, I often do "sequel" countdowns listing ten more of my favorites, and those entries could definitely appear. Depending on which version of her card you have, she'll either say that she grant indestructible to your other permanents or herself *and* other permanents. However, in the former's case (as seen in the image above), she simply has indestructible listed as one of her default attributes (next to vigilance). 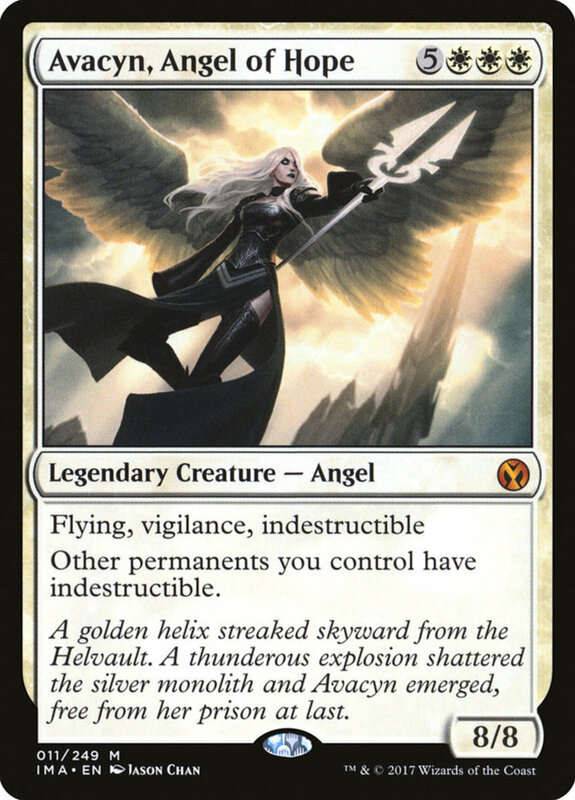 Basically, she's always indestructible; WOTC just shifted around the wording for (hopefully) superior readability.